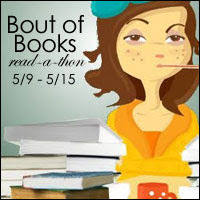 I spent last week participating in the Bout of Books Reading Challenge. There are no parameters. No hours you have to read. No amount of pages or books to be read. Just a casual atmosphere, where books are loved and read…as much as possible. There were fun daily challenges to participate in and a couple Twitter Chats where you could chat and answer questions and meet other book lovers. When I originally signed up to participate in Bout of Books, I was only scheduled to substitute teach 1 1/2 days during that week. By the time Bout of Books rolled around, I was subbing every day during the week, 3 evenings were full, and the weekends were shot. So, I did the best I could with the time I had. See my original post about Bout of Books, HERE. I was happy because I finished two books that I had been reading for the last couple months. I finished BEING MORTAL by Atul Gawande. I also finished FIND THE GOOD by . I started reading THE NIGHTINGALE by Kristin Hannah and I am over half way through it. I wanted to start on two other books but with the week I ended up having, it just didn’t work out that way. I finished the challenge with a total of 300 pages read for the week. I participated in 3 of the Daily Challenges and one of the Twitter Chats. The Daily Challenge themes were lots of fun and one of them may be leading to a new feature on the blog! 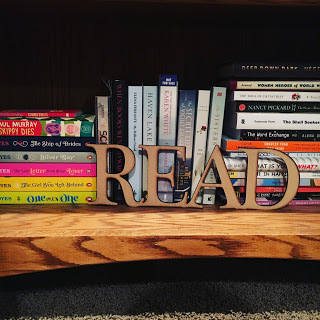 1 ~ Post a photo of one or all of your bookshelves. This is one of my many to-read shelves in our house. 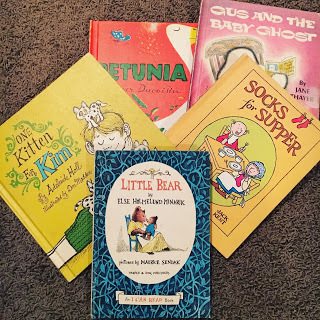 2 ~ 5 Favorites: I chose to share 5 of the Favorite Books from My Childhood. I read these books over and over as a child. I bet I could still recite some of them by heart. What I noticed was that they all had a theme of kindness and being generous to others. 3 ~ If you liked this….then you’ll like….. I had a hard time deciding what to choose for this challenge. I think I will definitely be doing some more blog posts on this topic and maybe even a regular feature. 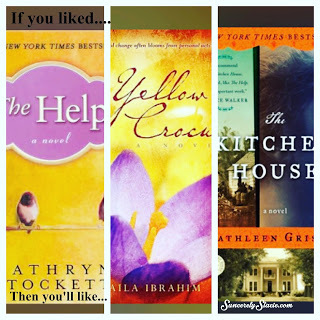 I decided to choose ~ If you liked THE HELP, then you would also like YELLOW CROCUS and THE KITCHEN HOUSE. 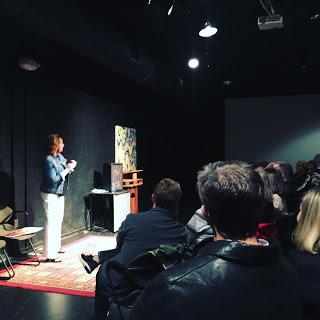 Not related to the Bout of Books Challenge, but I did attend a Book Reading/Signing Event for a local author. I featured her book here a week ago and I wanted to meet Carol Steingreaber in person and hear her read from her 1st book, PANTS OPTIONAL. You can see my original post about the author and her book, HERE. Carol was so awesome to meet. She is down-to-earth and absolutely hilarious. 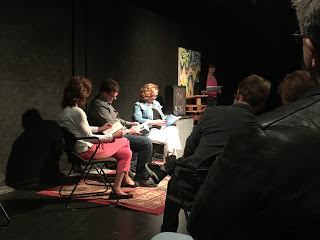 She read stories from her book using the people from the stories to read their actual lines. It made the stories even more real and way more hilarious. We had a lot of laughs in this room. 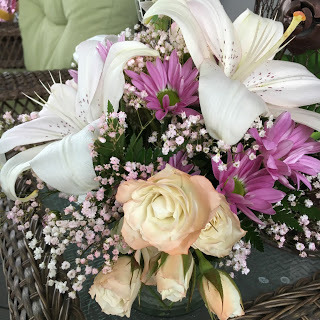 Carol even surprised me this week with this gorgeous flower bouquet to thank me for the feature article I wrote about her book for the Cedar Rapids Gazette. It is rare that I am thanked by an author in this way. Usually, it is through an email, Facebook comment, or Tweet on Twitter. These flowers made my day and I felt great knowing I am helping spread the word about a great book and wonderful author. So, even though I didn’t meet all my goals during Bout of Books, I had a great week of reading and enjoying a love of books. In fact, during my subbing, I read a couple of the books that I had recently reviewed to the elementary kids. They loved hearing a new story. So, that is my wrap up for the Bout of Books Challenge. If this sounds like something you would like to do next time it rolls around, mark your calendars for the week of August 22, 2016. You could join in just like I did. The above links will take you to that book’s Amazon page. If you choose to purchase the book through the above link, I may receive a small commission without you having to pay a cent more for your book. Thanks for supporting SincerelyStacie.com. It sounds like you read a lot during that crazy busy week. Your flowers are gorgeous – what a thoughtful thank you.